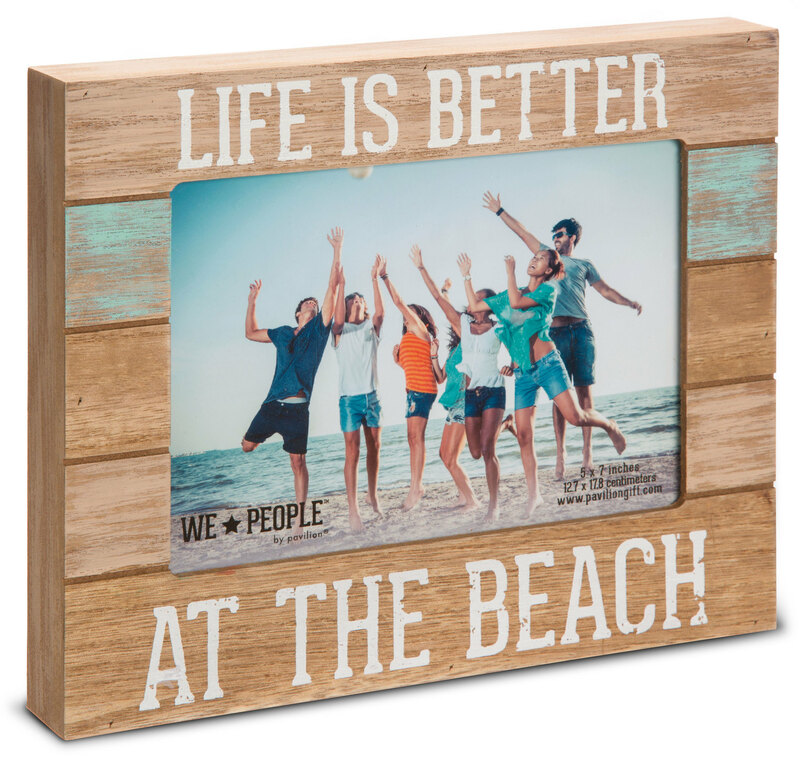 This wooden Beach People photo frame belongs to our ‘We People’ collection. Measuring 7.25 x 9”, the frame reads ‘Life is better at the beach’ and can house a 5” x 7” photograph. The frame can be hung on a wall if desired and is also self standing. Ideal for your inner beach baby, use it to liven up any décor.